Do not underestimate the implications of Chinas growth. Economists still debate when China will move past the United States to become the world’s largest economy. Some doubt whether it will happen at all, pointing to glaring economic imbalances and political risks facing China. Lost in the discussion is the fact that over the past quarter of a century, while the West has been experiencing regular boom-and-bust cycles, China has been the most consistent major economy as far as growth, investment development and accumulation of wealth are concerned. Moreover, it has become the source of global economic stability, playing the role that has been traditionally reserved for the dominant economic power. Last March, a report by the OECD asserted that, if differences in price levels are taken into account, China will have the largest GDP in the world already in 2016. Not so fast, the U.K.-based Center for Economic and Business Research warned late last year. Given the strength of the U.S. economy and structural weakness in China, it won’t happen until 2028. Even then, with population almost four times the size of the United States, China will remain much poorer on a per capita basis. It will continue to lag behind by a number of other measures, as well. For example, it will have difficulty matching America’s ability to innovate and its military prowess. The world will go on watching Hollywood movies, listening to American music and buying consumer goods and services provided by U.S. multinationals. The dollar will likely remain the global reserve currency and the U.S. will retain a lot of control over international institutions, economic as well as political. America, and not China, will be an indispensable nation in the foreseeable future. Nevertheless, absolute size exerts its own influence. In terms of GDP per capita, the IMF places the U.S. in 10th place, below such world powers as Canada, Australia and Sweden—but of course their economies are only a fraction of America’s in terms of size and even smaller in terms of global influence. Around 1900, when the U.S. overtook Great Britain as the world’s largest economy, its population was twice as large, which meant that on a per capita basis Americans were, on average, only half as rich as the Brits. At the time, Britain still controlled the seas and possessed an enormous empire. China’s size already makes it a global economic behemoth on several counts. For example, it has wreaked havoc in the international oil market, having gone from burning 2 million barrels per day (mbd) in 1985 to over 11 mbd this year. The jump in Chinese oil consumption pushed oil prices from around $10 per barrel in 1998 to around $100 per barrel currently. China has also been instrumental in creating a commodity price rally, as it boosted its demand for food and industrial raw materials. In 2013, however, food and metal prices softened, also largely because the Chinese economy is forecast to slow. China’s motor vehicles market is the world’s largest, with more than 20 million cars and trucks leaving the showrooms during 2013. The fortunes of global automakers are increasingly tied to China. General Motors, one of the early entrants to the Chinese market and a perennial sales leader, was bailed out in 2008-09 by the U.S. government, but its survival was assured by its success in the Chinese market. GM and its rival Volkswagen sell there over 3 million vehicles each, accounting for one-third of their global sales. Forecasts call for Chinese motor vehicles sales to jump to 32 million by 2020. And if you are wondering why Boeing shares nearly doubled during 2013 despite its well-publicized problems with the Dreamliner, consider the fact that the company estimates demand for new passenger aircraft in China to total 3,900 units between now and 2032. Since the early 1990s, while China has been on a protracted growth spurt, economists have persistently predicted the Chinese bubble’s bursting. They pointed out to a variety of problems, from poorly managed, heavily subsidized state-owned enterprises to overextended state-controlled banks that were forced to write blank-check loans to those enterprises. 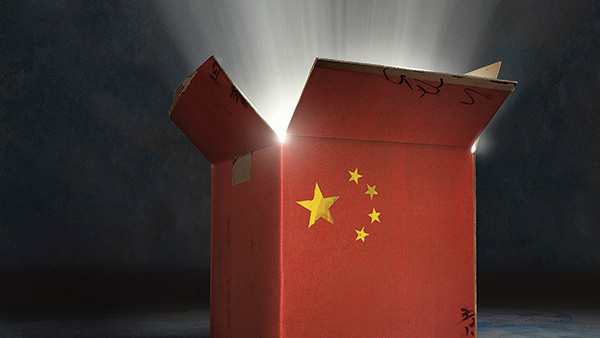 More recently, gloomy predictions have tended to focus on overinvestment and excess capacity, exacerbated by soft global demand, rising labor costs and a steadily appreciating currency, the yuan. But don’t blame the economists. They are looking for familiar patterns, comparing China to what they had seen elsewhere in Southeast Asia over the past half-century. Indeed, while explosive growth and rapid economic development have been typical of most countries in the region, from Japan and Korea to Thailand and Indonesia, so have been periodic crises, some of them severe. By extension, a similar crisis was expected in China sooner or later. However, there was a major difference. Those Asian Tigers and Cubs, as they were called, were economic satellites of the U.S. After World War II, the American economic juggernaut sailed on relatively smoothly. Recessions were few and very mild, so that economists of the day came to believe that a highly developed, large economy such as the U.S. was safe from dramatic fluctuations. Instead, smaller economies dependent on the U.S. kept going through dramatic ups and downs. Financial bubbles kept blowing up and bursting, and only stable growth in the U.S. allowed them to recover after every fresh implosion. The situation has changed since the early 1990s. China has started to behave more like the U.S. of old, sailing steadily on through economic adversity, at worst suffering only a slowdown in economic growth. The U.S. and Western Europe are now exhibiting patterns more typical of less developed economies. They are accelerating, creating speculative bubbles and then plunging steeply. Both Washington and Western European governments are effectively bankrupt, whereas China is the world’s largest creditor. Its own financial stability is secured by some $3.7 trillion in central bank reserves. In 2008-09, not only did fiscal stimulus by the Beijing government spearhead China’s recovery from the global economic crisis, but China also had a stabilizing effect on neighboring countries in Southeast Asia and on commodity producers in Latin America and Africa. Moreover, massive Chinese investment provided seed capital to sub-Saharan Africa, which is now going through the fastest growth spurt in its post-colonial history. Historically, China always saw itself as the center of the universe, surrounded by hostile or subservient barbarians. After about five centuries when it couldn’t compete on an equal footing with European powers, it has become the Middle Kingdom once more. The new generation of Chinese leaders completed a power transfer in March 2013, when Xi Jinping became president of the People’s Republic of China. The leadership has already made its economic priorities known. It will refocus China’s economy away from export markets, shifting it more toward domestic consumption. Concrete steps in this direction have been so far limited to minor liberalization in financial markets and a partial easing of the one-child policy. Many observers report that Chinese society has grown more self-confident and nationalistic over the past year, with signs ranging from a sharp decrease in the number of people studying English to greater assertiveness in territorial disputes with its neighbors, including Japan. Such changes are ushering in a period of economic uncertainty in China. However, it seems likely China will spark even greater turbulence elsewhere, starting with the U.S. Eventually, the role of countries around the world vis-à-vis China may change as they begin to supply China’s enormous market not only with commodities but consumer goods, as well—just as they have been supplying the U.S. market. The wealth of nations may henceforth depend on how much China values what those different nations can sell it.